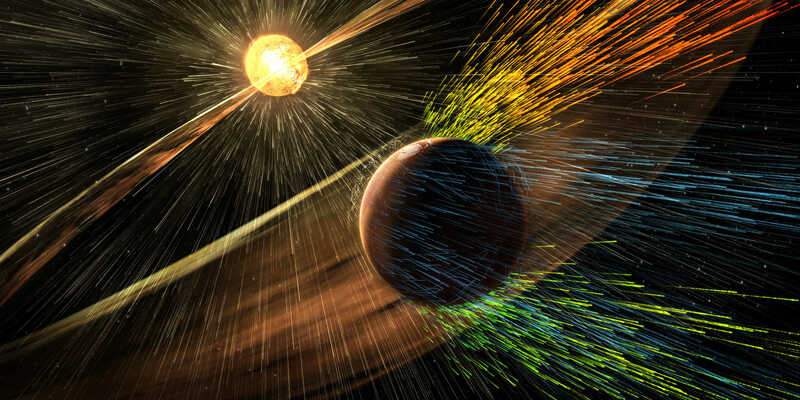 In other solar systems, the radiation streaming from the central star can have a destructive impact on the atmospheres of the star’s close-in planets. 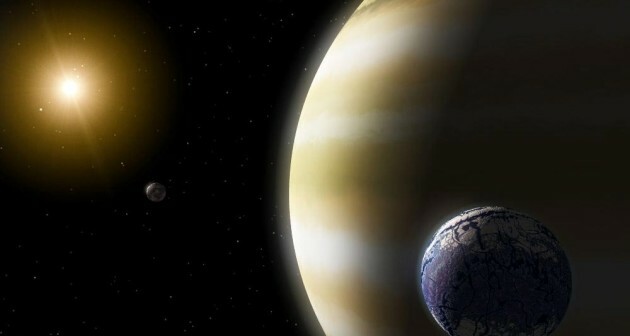 A new study suggests that these exoplanets may also have a much harder time keeping their moons. Moons are more common in our solar system than planets by far (just look at Jupiter’s enormous collection of satellites!) — and yet we haven’t made a single confirmed discovery of a moon around an planet outside of our solar system. Is this just because moons have smaller signals and are more difficult to detect? Or might there also be a physical reason for there to be fewer moons around the planets we’re observing? Led by Ming Yang, a team of scientists from Nanjing University in China have explored one mechanism that could limit the number of moons we might find around exoplanets: photoevaporation. Photoevaporation is a process by which the harsh high-energy radiation from a star blasts a close-in planet, imparting enough energy to the atoms of the planet’s atmosphere for those atoms to escape. As the planet’s atmosphere gradually erodes, significant mass loss occurs on timescales of tens or hundreds of millions of years. How might this process affect such a planet’s moons? To answer this question, Yang and collaborators used an N-body code called MERCURY to model solar systems in which a Neptune-like planet at 0.1 AU gradually loses mass. The planet starts out with a large system of moons, and the team tracks the moons’ motions to determine their ultimate fates. 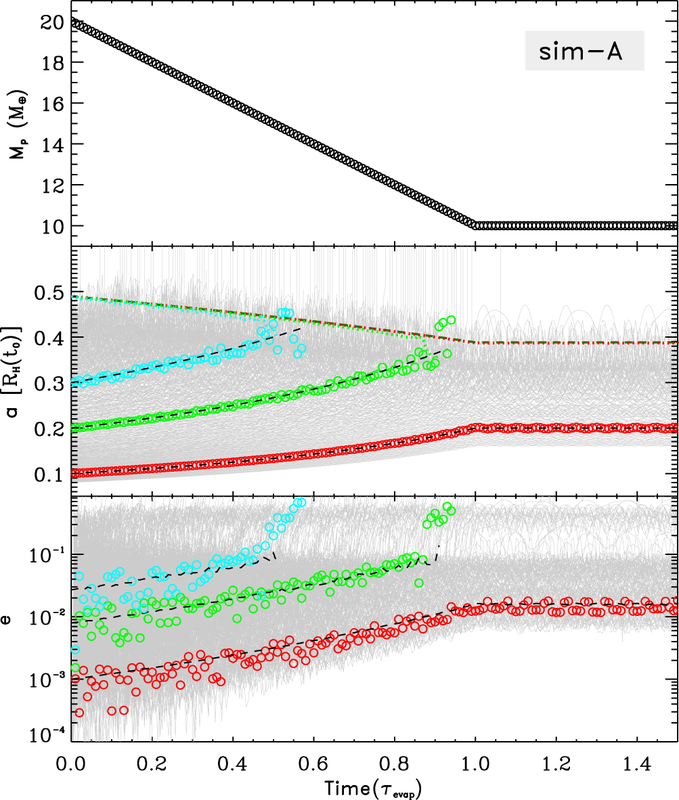 Yang and collaborators find that the photoevaporation process has a critical impact on whether or not the moons remain in stable orbits. As the photoevaporation drives mass loss of the planet, the planet’s gravitational influence shrinks and the orbits of its exomoons expand and become more eccentric. Eventually these orbits can reach critical values where they’re no longer stable, often resulting in systems with only one or no surviving moons. The team finds that even in the best-case scenario of only small moons, no more than roughly a quarter of them survive the simulation still in orbit around their planet. In simulations that include larger moons further out, the system is even more likely to become unstable as the planet loses mass, with more moons ultimately escaping. What happens to the moons that escape? Some leave the planet–moon system to become planet-like objects that remain in orbit around the host star. Others are smashed to bits when they collide with other moons or with the planet. And some can even escape their entire solar system to become a free-floating object in the galaxy! Based on their simulations, the authors speculate that exomoons are less common around planets that are close to their host stars (<0.1 AU). Furthermore, exomoons are likely less common in solar systems around especially X-ray-luminous stars (e.g., M dwarfs) that can more easily drive photoevaporation. For these reasons, our best chances for finding exomoons in future missions will be around stars that are more Sun-like, orbiting planets that aren’t too close to their hosts. Super-earths have been the exoplanet-hunting flavor of the last decade, but the moons of extrasolar planets could still be a good bet for finding extant life around some far-flung star. Problem is, to date, such moons have been observationally out of reach. A hypothetical rendition of the Blue Moon created by “Frizaven” on the 3D Space Simulator Celestia, via Wikipedia. Yet if the European Space Agency (ESA) launches its ARIEL (Atmospheric Remote-sensIng Exoplanet Large-survey) mission by 2025, there remains a small chance that the spacecraft might actually spot a moon around a relatively hot, giant extrasolar planet. That is, one circling one of the roughly 500 stars the mission would survey. Or so says David Waltham, a University of London geophysicist. Despite years of sifting through data for their signature, to date, no exomoons have been confirmed. That’s arguably more of a testament to the rudimentary nature of our planet-hunting technology than a dearth of earth-sized moons around giant planets circling other sun-like stars. “At the moment, we simply don’t know whether earth-sized moons exist,” Waltham, author of Lucky Planet: Why Earth is Exceptional and What that Means for Life in the Universe, told me. The current search for exomoons, uses data from planets transiting across the face of their parent stars, the so-called transit method; as well as data from surveys to look for the telltale stellar wobble caused by an exoplanet in orbit around its host star. Such surveys sometimes even look for the wobble of an exoplanet caused by an orbiting exomoon. ARIEL will look for “transit time variations” (TTVs) in the exoplanets it finds, says Waltham. That is, small variations of less than a minute in the exact timing of a planet as it transits across the face of its parent star. Such transit variations could, in theory, be caused by the gravitational effect of a moon on its host planet; causing the planet to wobble around the planet-moon center of gravity. But Waltham plans on looking for ARIEL’s transit time variations anyway. “Exomoons are unlikely around the majority of target planets for ARIEL but, if a few of the targeted planets orbit sun-sized stars, I might get lucky,” said Waltham. On another front, using data from NASA’s Kepler Space Telescope, the ongoing “Hunt for Exomoons with Kepler” (HEK) Project, led by Columbia University astronomer David Kipping, is continuing. Kipping and colleagues note that our own moon — only about 1% of earth’s mass — would be very hard to detect from light years away. But their search is still sensitive to statistically detecting an Earth-Moon combination for about one in every eight extrasolar planets they study. As for an earth-sized moon around a large planet? The project notes that statistically they would be sensitive to detecting one such exomoon for every three extrasolar planets surveyed. Our own anomalously large moon is about as inhospitable as they come. Most habitable planetary bodies require some sort of active geophysical tectonics or atmospheric recycling, which are usually not a feature of smaller bodies. And the only known moon with a substantial atmosphere, remains the Saturn’s moon of Titan, some 0.4 earth radii in size. Thus, what’s the next ground- or space-based effort to detect exomoons? Waltham says exomoon detection using transit timing variations will be very hard from the ground but it may be possible to see their direct transit signature using the next generation of very-large telescopes. But he says that NASA’s planned James Webb Space Telescope (JWST) due for launch in 2018, has the best chance of finding the first exomoons. As for the percentage of known exoplanetary systems that might also harbor habitable exomoons? “The statistics suggest that if earth-sized exomoons were really common, we’d probably have spotted one by now ,” Duncan Forgan, an astronomer at the U.K.’s University of St. Andrews, told me. Getting anything like a spectrum — which might tell us about the moon’s atmosphere or surface composition — will require much bigger telescopes than anything currently planned, Waltham says. However, Forgan says the biggest issue with exomoon bio-signatures is that if astronomers do get an exomoon spectrum, for the foreseeable future, they’ll probably be looking at it combined with its host planet’s spectrum as well. “There’s actually a worrying feature of this blending, which might convince us of habitability when the opposite is true,” said Forgan. Waltham says the best chance of detecting an exomoon is to look at a long-period, medium-sized planet orbiting a bright star. However, he cautions, astronomers would need to look for many decades to see enough transits to detect such long-period planets. Meanwhile, Kipping told me that there may still be some exomoon candidates in Kepler data of hundreds of extrasolar planets that he and colleagues are currently analyzing. But he says he is holding off on revealing more until their work is further along. Status: Accepted by the Astrophysical Journal. Moons appear to be everywhere in the Solar system. Six out of the eight major planets have at least one, and the two largest gas giants have dozens. Astronomers expect that the thousands of exoplanets discovered in recent years are no different, with most of them hosting their own system of mini-worlds. However, despite several years of searching, we’ve yet to find an exomoon. This isn’t really surprising, as discovering exoplanets themselves took a step change in the capabilities of astronomical equipment, and confirming an exoplanet is still by no means routine. 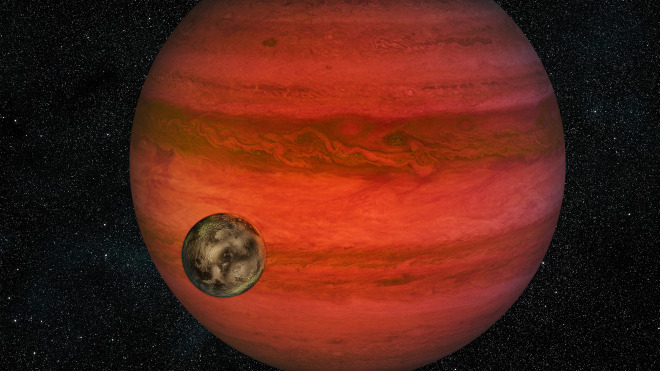 Exomoons, which by definition are smaller than their host planets, are even harder to detect. Many techniques have been suggested, such as looking for changes in the shape of the transit of a planet in front of its star, or finding strange patterns in exo-planetary rings, but so far no method has borne fruit. The authors of today’s paper suggest a new way to find them. Instead of the optical telescopes favoured by exoplanet searches, Noyola et al. turn to the giant radio telescopes. They suggest that they could be able to detect signals from extrasolar equivalents of one of the Solar system’s most extreme objects: Jupiter’s moon, Io. Similar in size to Earth’s moon, Io is the closest of the four Galilean satellites to Jupiter. The gravitational interactions between Io, Jupiter, and the neighbouring moon Europa squeeze and heat up Io’s interior, making it the most volcanically active object in the Solar system. As material is blasted out of Io, some of it is caught up in Jupiter’s powerful magnetic field lines. The electrons in this material move around the magnetic field lines in a spiral pattern, producing cyclotron radiation in the form of a stream of radio waves. This radiation is much stronger that what Jupiter itself emits at the same frequencies. Io isn’t the only moon that does this. Similar, albeit weaker, emissions are produced by several other moons of both Jupiter and Saturn. Based on this commonality, the authors suggest that radio emissions from exomoons may be common and detectable. Could we detect an exo-Io? The authors start by calculating the signal from Io were it one light year away. They find a signal of 0.0027 Janskys, which is faint, but well within the capabilities of current telescopes. Of course, most exoplanet systems are tens to hundreds of light years away. The authors point out that the bias in exoplanet detection methods towards giant planets works in their favour, as the maximum theoretical sizes of moon, magnetic field and radio emission all scale with the mass of the host planet. Such emission would also vary as the exomoon travelled around its host, revealing the moon’s orbital period. 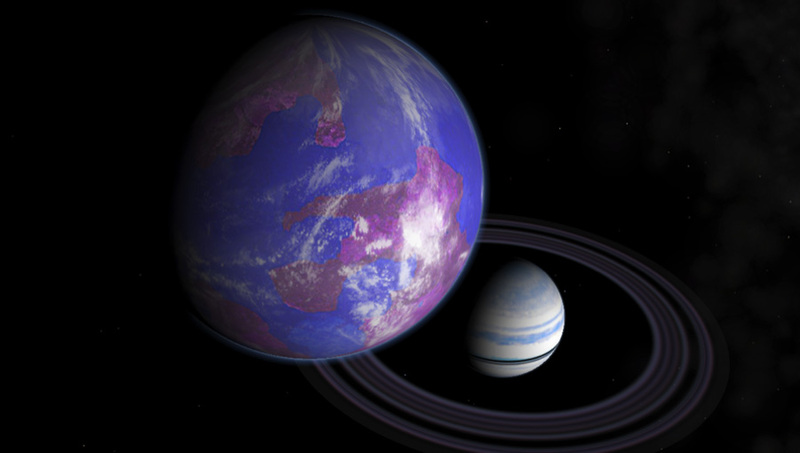 With the method established, the authors go on to suggest that it might be possible to find multiple exomoons with this technique. The large signal from Io is a result of the material produced by its volcanic activity. Moons which are further out experience less tidal force and therefore less volcanism, so the radio signals are much smaller. However, the authors suggest that an Io-like exomoon (an exo-Io) could “donate” material to a nearby moon, should they be close enough together. This would work via simple orbital mechanics. Volcanoes facing in the direction of the exo-Io’s motion would give the material they ejected a boost, sending it into a higher orbit. There, it could run into the next moon out and be gravitationally captured. The outer moon could then start its own interactions with the host planet’s magnetosphere. As the orbital period of the outer moon is longer, the resulting radio emission would vary on a different time scale to the initial exo-Io, allowing the two signals to be distinguished. The authors show that this detection method would have uses beyond just finding multiple exomoons. The orbital periods of two moons can be used to find either the mass or radius of the host planet, which may unobtainable via more traditional techniques. Further more, two moons allows the masses of the moons themselves to be found. A complete picture of the system could be built up, just from radio emissions. The race is on to find an exomoon. As the authors conclude here, the first detection might just be made with a radio telescope. Astronomers presumed that many of the other stars in the night sky had planets too, but this was sheer speculation. We could never know for sure, the thinking went, because such planets were ridiculously small and faint. To ever see or study them seemed a complete impossibility. “Extrasolar planets,” or “exoplanets,” were a staple of science fiction, but not of professional astrophysics. It’s hard to believe that there was once such a simple time. The first definitive detection of an exoplanet was in 1991, identified by the tiny wobbles experienced by the parent star as its exoplanet swung around it. Since then, the field has exploded. There are now around 1,600 confirmed exoplanets, with almost 4,000 other known candidates. There are exoplanets smaller than Mercury, and others many times bigger than Jupiter. Their orbits around their parent stars range from a few hours to hundreds of years. And the ones we know about are just a tiny fraction of the approximately 100 billion exoplanets we now believe are spread throughout our Milky Way galaxy. An exomoon is a moon orbiting a planet, which in turn is orbiting another star. You may not have ever heard of exomoons before now. But if you’re a fan of films such as “Avatar,” “Return of the Jedi” or “Prometheus,” this should be familiar territory: in all three cases, most of the action takes place on an exomoon. The whole reason exoplanets are exciting is that they’re a path to answering one of the grandest questions of all: “Are we alone?” As we find more and more exoplanets, we eagerly ask whether life could exist there, and whether this planet is anything like Earth. However, so far we’ve yet to find an exact match to Earth, nor can we yet really know for sure whether any exoplanet, Earth-like or otherwise, hosts life. First, there’s the stark reality that life on Earth may not have happened at all without the starring role played by our own moon. The Earth’s axis is tilted by 23.5 degrees relative to its motion around the sun. This tilt gives us seasons, and because this tilt is relatively small, seasons on Earth are mild: most places never get impossibly hot or unbearably cold. One thing that has been crucial for life is that this tilt has stayed the same for very long periods: for millions of years, the angle of tilt has varied by only a couple of degrees. The gravity of the moon also produces the Earth’s tides. Billions of years ago, the ebb and flow of the oceans produced an alternating cycle of high and low salt content on ancient rocky shores. This recurring cycle could have enabled the unique chemical processes needed to generate the first DNA-like molecules. Meanwhile, we shouldn’t be discouraged by the fact that most exoplanets found so far are bloated gaseous beasts, with hostile environments unlikely to support life as we know it. What we don’t know yet, crucially, is whether these exoplanets have moons. This prospect is exciting, because exomoons are expected to be smaller rocky or icy bodies, possibly hosting oceans and atmospheres. This is hardly speculation: Titan (a moon of Saturn) has a thick atmosphere even denser than Earth’s, while underground oceans are thought to exist on Enceladus (another moon of Saturn) and on Europa and Ganymede (both moons of Jupiter). Thus, if there is any other life out there somewhere, it may well not be found on a distant planet, but on a distant moon. The hunt is on. While exomoons are too faint to see directly, astronomers are deploying ingenious indirect techniques in their searches. Those moons are assuredly out there by the billions – and soon we will find them. It won’t be too much longer before these tiny worlds help us answer huge questions. The Hunt for Exomoons with Kepler, or HEK, is an astronomy project designed to search for observational evidence of exomoons (extrasolar moons). The “exo” part of the word simply means that the moon lies outside of our own solar system. Because the nearest star to us is several light years away, the stars which we look at in our hunt are in the range of 10’s to 1000’s of light years away. So far, no-one has ever found an exomoon but there has never been a systematic search for their existence before. HEK will therefore test the hypothesis that moons exist in other solar systems aside from our own. Our primary mission is to determine the occurrence rate of large moons around viable planets hosts, which we denote with the symbol η☾. Why should we care about exomoons? Perhaps, the most fundamental reason is life. Science fiction writers and film makers have long toyed with the idea of moons teaming with life, such as the moon “Pandora” in the recent film Avatar (pictured). 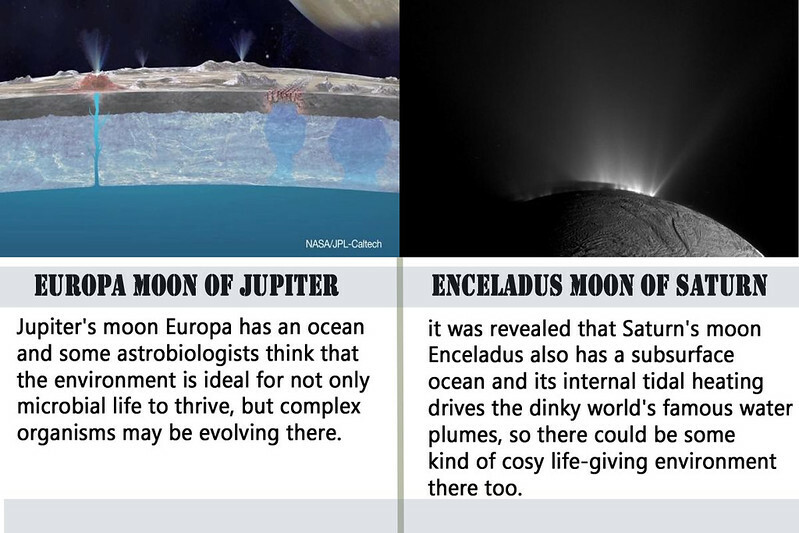 But this is not just science fiction- astrobiologists believe that Europa, Titan and Enceladus (the moons of Jupiter and Saturn) are potentially viable homes for some form of primitive biology. Sadly though, there are no moons in our own solar system which offer truly Earth-like conditions such as that depicted in Avatar. But could there be a vast population of habitable exomoons out there just waiting for us to find them? If such habitable moons are possible, then there could even be more habitable moons than habitable planets. Planet-based life could even be a rarity in the Galaxy! HEK cannot tell us whether life inhabits exomoons or not, but the first step is to establish whether moons big enough to support a biosphere exist or not. HEK will hopefully answer this question. Another important implication of moons is that aside from being habitable themselves, they also may affect the habitability of any planets they orbit. For example, the Moon (pictured) is thought to stabilize the axial tilt of the Earth which is beneficial to the climate and habitability of our planet. If the Moon wasn’t there, would our planet still have complex life (like us) on it? With just one known example, the Earth-Moon system, it is difficult to make this determination. But HEK will seek evidence of exomoons around habitable-zone planets in order to say whether planets in the habitable-zone of their host star frequently have large moons or not. Finally, the third important reason to try and find exomoons is that they can teach us a lot about how planets, moons and solar systems form and evolve. The solar system is billions of years old and so we have only been observing it for a very short fraction of that time – therefore a major challenge in planetary astronomy is work out how our own solar system formed and evolved over all that time we weren’t looking. A significant piece of this puzzle is how moons form and evolve. Taking the example of the Earth-Moon system once again, the Moon is thought to have formed through a giant collision between the primordial Earth and a Mars-sized planet which drifted too close (pictured). This enormous collision broke up the smaller planet into a disc of vaporized rock which slowly coalesced into what we now call the Moon. This extraordinary tale is our best guess for how the Moon formed but we have no idea as to whether this happens all the time in other solar systems or whether the Earth-Moon system is somehow a freak in the Universe. Only by detecting a population of planet-moon systems can be hope to answer whether the Earth-Moon system is unique and so whether solar systems like our own reside in the cosmos. David Kipping wrote his PhD thesis on the subject of exomoon detection theory at University College London and has single-authored numerous papers on the topic. David devised two new methods to detect exomoons in the form of TDV-V and TDV-TIP (velocity and transit-impact-parameter induced transit duration variations, respectively). These tools are critical in assessing a moon’s mass and sense of orbital motion (prograde or retrograde). David is now a Donald Menzel fellow at the Harvard College Observatory, where the HEK project servers perform round the clock automated searches for exomoons. Assoc. Prof. Bakos of Princeton University founded the HATNet project (Hungarian Automated Telescope NETwork), which is one the most successful transiting planet hunting surveys to date. Gáspár’s expertise range from instrumentation, to programming, from observations to theory and we are fortunate to have these talents for HEK. Dr. Lars Buchhave, based at the Neils Bohr Institute in Copenhagen, obtains stellar spectra for the HEK project as well as his own projects. These spectra are then used to refine the stellar parameters and look for the stellar wobble caused by the presence of a planet. By combining this data with the Kepler photometry, HEK can not only confirm candidates, but also dynamically measure the masses and radii of the entire system. Joel is an Associate Research Scholar at Princeton and has been instrumental in the success of the HAT project, founded by Prof. Bakos. Joel has recently begun investigating novel non-parametric methods to look for exomoons and provides invaluable support in the interpretation of light curve signals, as well characterizing the host stars. Chelsea is a graduate student at Princeton University interested in the analysis Kepler light curve data. Chelsea has developed an independent processing pipeline of the Kepler data which HEK uses in certain cases to vet moon candidate signals. This independent check, including pixel-level diagnostics, allows us to verify potential signals are astrophysical rather than instrumental in nature. Based at the Southwest Research Institute in Colorado, Dr. David Nesvorny is a dynamist who has written pivotal papers in fields ranging from Kuiper belt objects to moons, from exoplanets to asteroids. David’s expertise is crucial to the HEK project. Frequently, the dynamical perturbations which can signal the presence of a moon could also be confused with a perturbing planet. David will interrogate the hypothesis of a perturbing planet in such cases, to help us understand the true nature of the planetary system. Allan Schmitt joined the HEK project via PlanetHunters.org. This dedicated group of non-professional astronomers inspect Kepler light curves for signs of other planets not found by the automated planet-hunting tools of Kepler. In a similar vein, Allan leads the visual inspection effort on these data for exomoon signals. Exomoon signals are much trickier to spot than new planets but a trained and patient human eye is a powerful tool. Located at the Harvard-Smithsonian Center for Astrophysics, Guillermo Torres is a world renown expert in the analysis and validation of planetary transits and the determination of accurate stellar parameters who joined the HEK project in fall 2014. These expertise aid the HEK project greatly, providing a second check as to the nature of candidate signals and also providing physical parameters for the star which affects the planet and moon terms too. A team of 21st-century explorers working on the Hunt for Exomoons with Kepler (HEK) project, based at Harvard University, are searching for exomoons using data from NASA’s Kepler mission and the Pleiades supercomputer at the NASA Advanced Supercomputing (NAS) facility at NASA’s Ames Research Center. The discovery of exomoons—moons situated beyond our own solar system—would add to the growing list of celestial objects detected by the Kepler telescope that could potentially harbor life in some form. In the quest to find the first exomoon, HEK astronomers led by David Kipping at the Harvard-Smithsonian Center for Astrophysics have devised a unique, systematic computational approach that requires 5.2 million processor hours on Pleiades. Using their in-house LUNA light curve modeling algorithm and a massively parallel sampling algorithm called MultiNest, the project team simulates billions of possible star-planet-moon configurations and compares the results to the actual Kepler data to look for a good match. So far, the team has surveyed 56 of about 400 identified Kepler planet candidates that could have a detectable exomoon. Surveying the remaining 340 planet candidates would require about 50,000 hours of processing time per object and would take nearly a decade to complete on smaller computers. Utilizing NASA’s powerful Pleiades system—which performs over 3 quadrillion calculations per second—will speed up this computationally expensive process, reducing the processing time to 30,000 hours per object. Over the next two years, the team will survey the remaining candidates for exomoons by performing photo-dynamical analysis of the public data from Kepler, consuming about 10 million processor hours on Pleiades. Their results will be used to determine the occurrence rate of Earth-like moons. Think “moon” and you probably envision a desolate, cratered landscape, maybe with an American flag and some old astronaut footprints. Earth’s moon is no place for living things. But that isn’t necessarily true for every moon. Whirling around Saturn, Enceladus spits out geysers of water from an underground ocean. 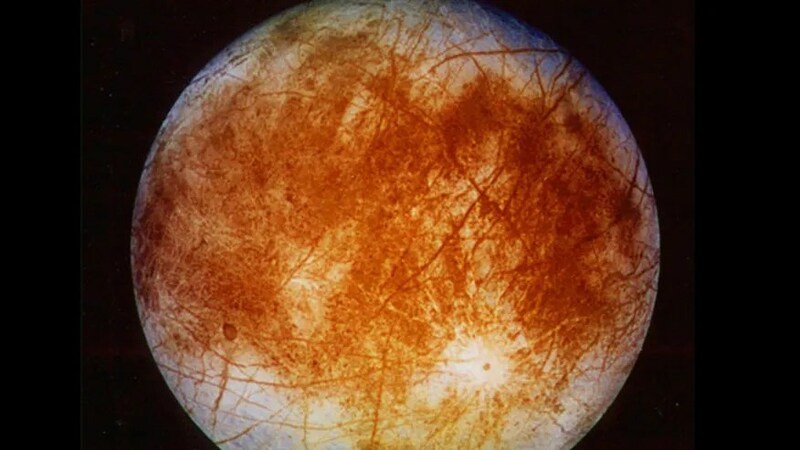 Around Jupiter, Europa has a salty, subsurface sea and Titan has lakes of ethane and methane. A handful of the roughly 150 moons in the solar system have atmospheres, organic compounds, ice, and maybe even liquid water. They all seem like places where something could live—albeit something weird. So now that the Kepler space telescope has found more than 1,000 planets—data that suggest the Milky Way galaxy could contain a hundred billion worlds—it makes sense to some alien-hunters to concentrate not on them but on their moons. The odds for life on these so-called exoplanets look a lot better—multiply that hundred billion by 150 and you get a lot of places to look for ET. “Because there are so many more moons than planets, if life can get started on moons, then that’s going to be a lot of lively moons,” says Seth Shostak, an astronomer at the SETI Institute. Even better, more of those moons might be in the habitable zone, the region around a star where liquid water can exist. That’s one reason Harvard astronomer David Kipping got interested in exomoons. He says about 1.7 percent of all stars similar to the sun have a rocky planet in their habitable zones. But if you’re talking about planets made out of gas, like Saturn and Jupiter, that number goes up to 9.2 percent. Gaseous planets don’t have the solid surfaces that astronomers think life needs, but their moons might. So far, no one has found a moon outside the solar system yet. But people like Kipping are looking hard. He leads a project called the Hunt for Exomoons with Kepler, the only survey project dedicated to finding moons in other planetary systems. The team has looked at 55 systems, and this year they plan to add 300 more. “It’s going to be a very big year for us,” Kipper says. Finding moons isn’t easy. Kepler was designed to find planets—the telescope watches for dips in starlight when a planet passes in front of its star. But if a moon accompanies that planet, it could further lessen that starlight, called a light curve. A moon’s gravitational tug also causes the planet to wobble, a subtle motion that scientists can measure. In their search, Kipping’s team sifts through more than 4,000 potential planets in Kepler’s database, identifying 400 that have the best chances of hosting a detectable moon. 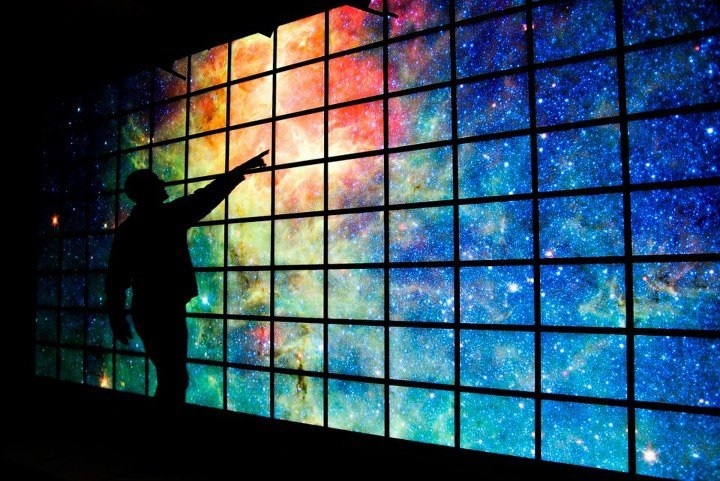 They then use a supercomputer to simulate how a hypothetical moon of every possible size and orientation would orbit each of the 400 planets. The computer simulations produce hypothetical light curves that the astronomers can then compare to the real Kepler data. The real question, Kipping says, isn’t whether moons exist—he’s pretty sure they do—but how big they are. If the galaxy is filled with big moons about the same size as Earth or larger, then the researchers might find a dozen such moons in the Kepler data. But if it turns out that the universe doesn’t make moons that big, and they’re as small as the moons in our solar system, then the chances of detecting a moon drop. According to astronomer Gregory Laughlin of the University of California, Santa Cruz, the latter case may be more likely. “My gut feeling is that because the moon formation process seems so robust in our solar system, I would expect a similar thing is going on in an exoplanetary system,” he says. Which means it’ll be tough for Kipping’s team to find anything, even though they’re getting better at detecting the teeny ones—in one case, down to slightly less than twice the mass of the solar system’s largest moon, Ganymede. Whether anything can live on those moons is a whole other story. Even if astronomers eventually detect a moon, determining whether it’s habitable (with an atmosphere, water, and organic compounds)—let alone actually inhabited—would be extremely difficult. The starlight reflected off the planet would be overwhelming. Current and near-future telescopes won’t be able to discern much of anything in detail at all—which is why some researchers aren’t optimistic about Kipping’s ideas. “I just don’t see any great path to characterize the moons,” says Jonathan Fortney, an astronomer at UC Santa Cruz. Even Kipping acknowledges that it’s impossible to place any odds on whether he’ll actually find an exomoon. Still, thanks to improvements in detecting smaller moons and the 300 additional planets to analyze, Kipping says he’s optimistic. “It would be kind of surprising if we don’t find anything at all,” he says. With about 4,000 planet candidates from the Kepler Space Telescope data to analyze so far, astronomers are busy trying to figure out questions about habitability. What size planet could host life? How far from its star does it need to be? What would its atmosphere need to be made of? Look at our own solar system, however, and there’s a big gap in the information we need. Most of the planets have moons, so surely at least some of the Kepler finds would have them as well. Tracking down these tiny worlds, however, is a challenge. A new paper in the journal Astrobiology, called Formation, Habitability, and Detection of Extrasolar Moons, goes over this mostly unexplored field of extrasolar research. The scientists do an extensive literature review of what is supposed about moons beyond the Solar System, and they add intriguing new results. A wealth of moons exist in our own solar system that could host life. Icy Europa, which is circling Jupiter, was recently discovered to have plumes of water erupting from its surface. Titan, in orbit around Saturn, is the only known moon with an atmosphere, and could have the precursor elements to life in its hydrocarbon seas that are warmed by Saturn’s heat. Other candidates for extraterrestrial hosts include Jupiter’s moons Callisto and Ganymede, as well as Saturn’s satellite Enceladus. Lead author René Heller, an astrophysicist at the Origins Institute at McMaster University, in Ontario, Canada, said some exomoons could be even better candidates for life than many exoplanets. Moreover, a planet like Jupiter — which hosts most of the moons in the Solar System that could support life — provides even more potential energy sources, he added. The planet is still shrinking and thereby converts gravitational energy into heat, so that it actually emits more light than it receives from the Sun, providing yet more illumination. Besides that, moons orbiting close to a gas giant are flexed by the planet’s gravity, providing potential tidal heating as an internal, geological heat source. The first challenge in studying exomoons outside our Solar System is to actually find one. Earlier this year, NASA-funded researchers reported the possible discovery of such a moon, but this claim was ambiguous and can never be confirmed. That’s because it appeared as a one-time event, when one star passed in front of another, acting as a sort of gravitational lens that amplified the background star. Two objects popped out in the gravitational lens in the foreground — either a planet and a star, or a planet and an extremely heavy exomoon. For his part, Heller is convinced that exomoons are lurking in the Kepler data, but they have not been discovered yet. Only one project right now is dedicated to searching for exomoons, and is led by David Kipping at the Canadian Space Agency. His group has published several papers investigating 20 Kepler planets and candidates in total. 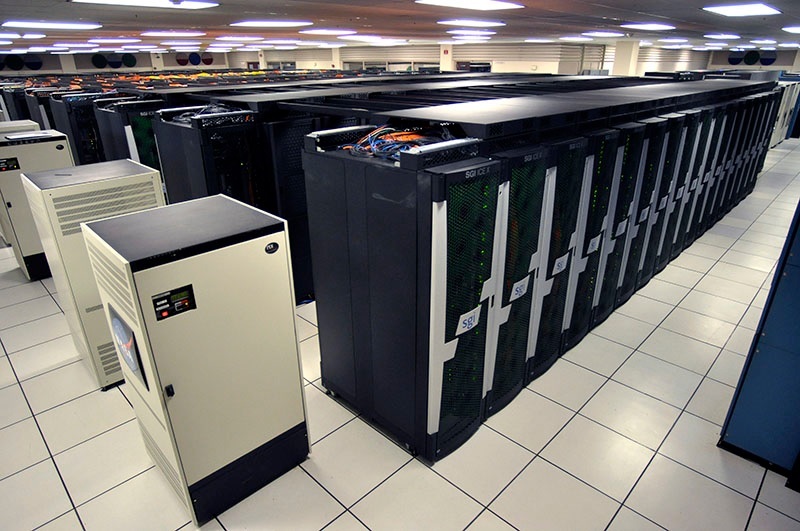 The big restriction to their efforts is computational power, as their simulations require supercomputers. Another limiting factor is the number of observatories that can search for exomoons. To detect them, at least a handful of transits of the planet-moon system across their common host star would be required to absolutely make sure that the companion is a moon, Heller said. Also, the planet with the moon would have to be fairly far from its star, and decidedly not those close-in hot Jupiters that take only a few days to make an orbit. In that zone, the gravitational drag of the star would fatally perturb any moon’s orbit. Heller estimates that a telescope would need to stare constantly at the same patch of sky for several hundred days, minimum, to pick up an exomoon. Kepler fulfilled that obligation in spades with its four years of data gazing at the same spot in the sky, but astronomers will have to wait again for that opportunity. Because two of Kepler’s gyroscopes (pointing devices) have failed, Kepler’s new mission will use the pressure of the Sun to keep it steady. But it can only now point to the same region of the sky for about 80 days at at time because the telescope will periodically need to be moved so as not to risk placing its optics too close to the Sun. NASA’s forthcoming Transiting Exoplanet Survey Satellite [TESS} is only expected to look at a given field for 70 days. Further into the future, the European Space Agency’s PLAnetary Transits and Oscillations of stars (PLATO) will launch in 2024 for what is a planned six-year mission looking at several spots in the sky. “PLATO is the next step, with a comparable accuracy to Kepler but a much larger field of view and hopefully a longer field of view coverage,” Heller said. Heller characterizes moons as an under-appreciated feature of extrasolar planetary systems. Just by looking around us in the Solar System, he says, astronomers have been able to make crucial explanations about how the moons must have formed and evolved together with their planets. Moons thus carry information about the substructure of planet evolution, which is not accessible by planet observations alone. The Earth’s moon, for example, was likely formed when a Mars-sized object collided with the proto-Earth and produced a debris disk. Over time, that debris coalesced into our moon. While Heller says the literature mostly focuses on collision scenarios between an Earth-sized object and a Mars-sized object, he doesn’t see any reason why crashes on a bigger scale might not happen. Perhaps an Earth-sized object crashed into an object that was five times the mass of Earth, producing an extrasolar Earth-Earth binary planet system, he suggests. Another collision scenario likely took place at Uranus. The gas giant’s rotation is tilted about 90 degrees in its orbit around the Sun. In other words, it is rolling on its side. More intriguing, its two dozen moons follow Uranus’ rotational equator, and they do not orbit in the same plane as Uranus’ track around the Sun. This scenario suggests that Uranus was hit multiple times by huge objects instead of just once, Heller said. Examining mighty Jupiter’s moons gives astronomers a sense of how high temperatures were in the disk that formed the gas giant and its satellites, Heller added. Ganymede, for example, is an icy moon. Models indicate that beyond Ganymede’s orbit (at about 15 Jupiter radii) it is sufficiently cold for water to pass from the gas to the solid (ice) stage, so the regular moons in these regions are very water-rich compared to the inner, mostly rocky moons Io and Europa. “It sounds a bit technical, but we couldn’t have this information about planetary accretion if we did not have the moons today to observe,” Heller said. Some moons could also have been captured, such as Neptune’s large moon, Triton. The moon orbits in a direction opposite to other moons in Neptune‘s system (and in fact, opposite to the direction of other large moons in the Solar System.) Plus, its odd terrain suggests that it used to be a free-floating object that was captured by Neptune’s gravity. Neptune is so huge that it raised tides within the moon, reforming its surface. Even comparing the different types of moons around planets in the Solar System reveals different timescales of formation. Jupiter includes four moons similar in size to Earth’s moon (Europa, Callisto, Ganymede and Io), while the next largest planet in our solar system, Saturn, only has one large moon called Titan. Astronomers believe Saturn has only one large moon because the gas that formed objects in our solar system was more plentiful in Jupiter’s system to provide material for the moons to form. The gas abundance happened as a consequence of the huge gas giant creating a void in the material surrounding our young Sun, pulling the material in for its moons. Saturn was not quite large enough to do this, resulting in fewer large moons. More strange situations could exist beyond our solar system’s boundaries, but it will take a dedicated search to find exomoons. Once they are discovered, however, they will allow planet formation and evolution studies on a completely new level. This research was supported in part by the Natural Sciences and Engineering Research Council of Canada (NSERC), the Center for Exoplanets and Habitable Worlds, which is supported by the Pennsylvania State University, the Pennsylvania Space Grant Consortium, the National Science Foundation (NSF) the NASA Astrobiology Institute. Joaquin Noyola, a Ph.D. graduate student in Musielak’s research group, is lead author on the new paper and Suman Satyal, a Ph.D. graduate student in the same group, is another co-author. It is titled Detection of Exomoons Through Observation of Radio Emissions.